Stu and I have been out in Wellesley this week doing tree inspections and whilst looking at the base of a dual stem tree, hidden in the leaves, we found this beauty. This is Carabus problematicus, identifiable by the ridged elytra (outer wing case) and is amongst the UK’s largest beetles, growing up to 30mm. 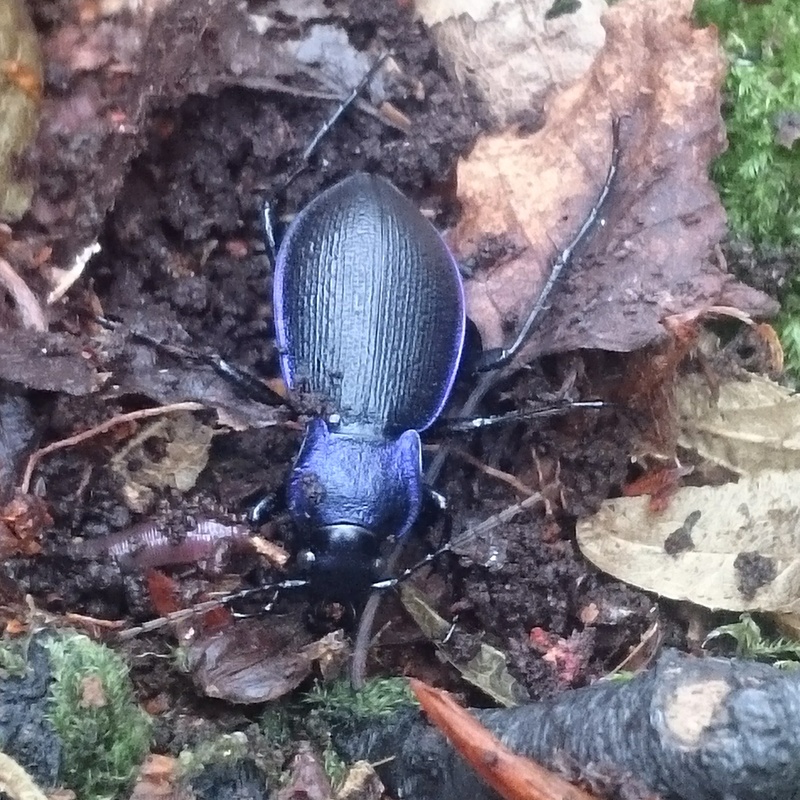 This is one of two types of Violet Ground Beetle. They mainly emerge at night to feed on other invertebrates such as slugs and whilst widespread in Britain can be uncommon in many areas. Have you seen one? This entry was posted in Conservation, Education, Wellesley Woodlands, Wildlife and tagged beetles, hazard trees, Wellesley Woodlands. Bookmark the permalink.